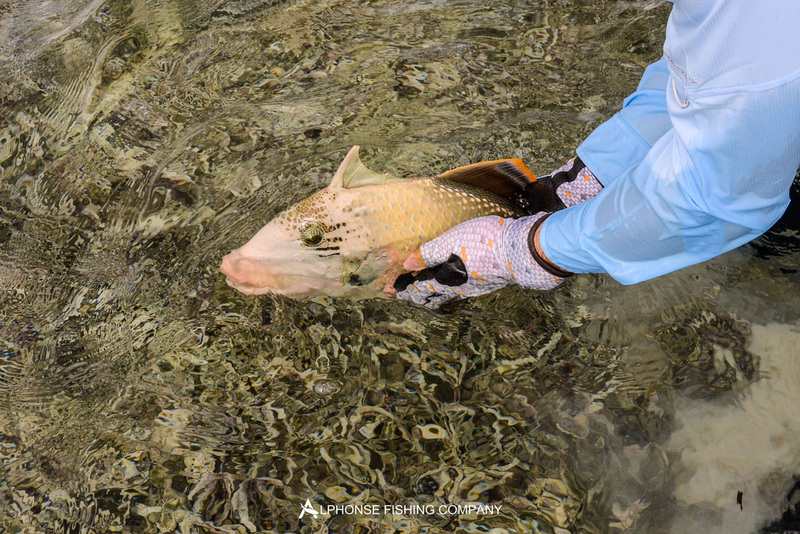 After breaking the St. Francois triggerfish record last week, everyone associated with Alphonse Fishing Co. was eager to see what week 21 would have in store, especially with the tide cycle moving to neaps, which are even more conducive to catching triggerfish. As the week began the conditions were looking perfect with beautiful ice cold water and slowly pushing and dropping tides, ideal for fishing the finger flats. With a full complement of guests everyone was raring to go and try to beat the previous week’s numbers. 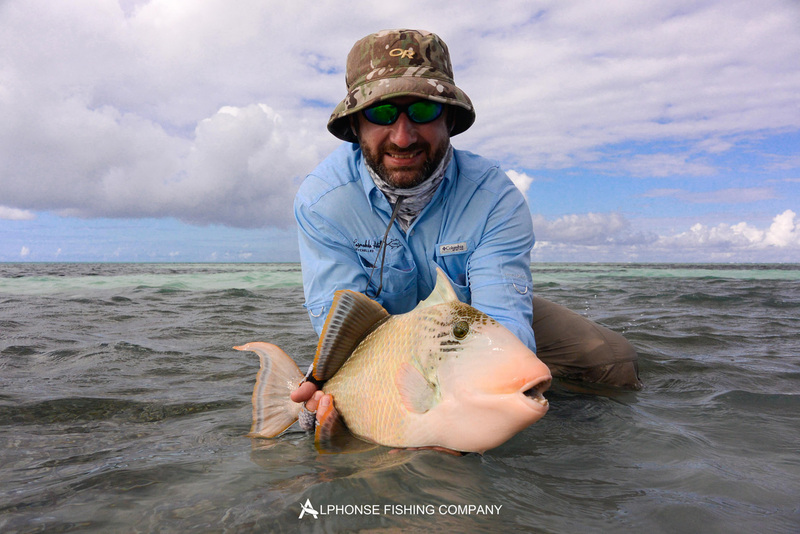 At the end of the week when the triggerfish catch was finally totaled nobody could quite believe the numbers. 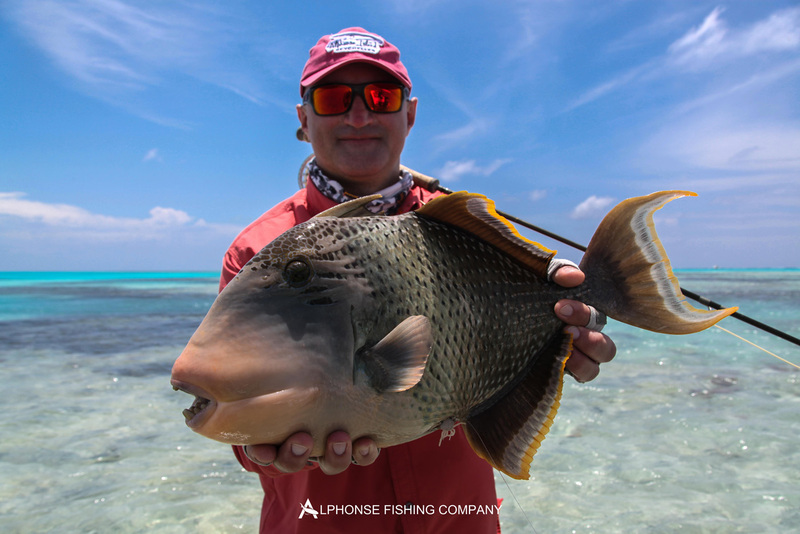 There were 28 triggerfish landed between 11 anglers, a phenomenal number of fish. 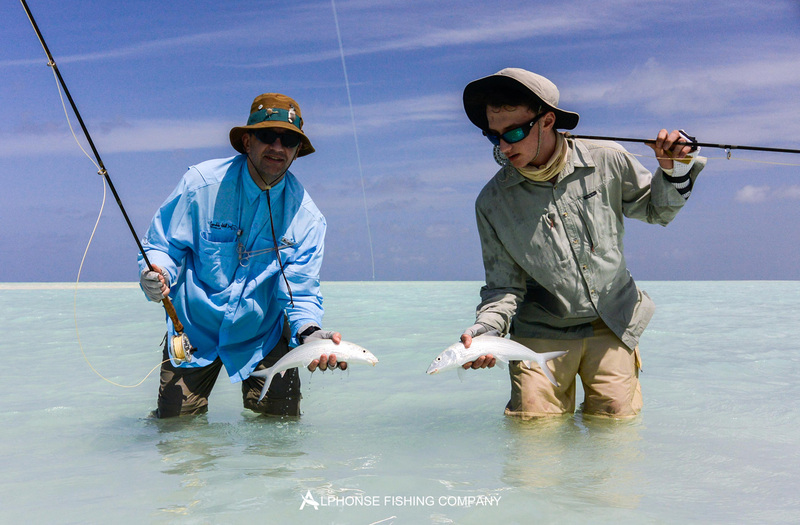 The recent run of triggerfish catches around St. Francois is unprecedented; in the last 3 weeks the guests have landed 56 triggerfish. 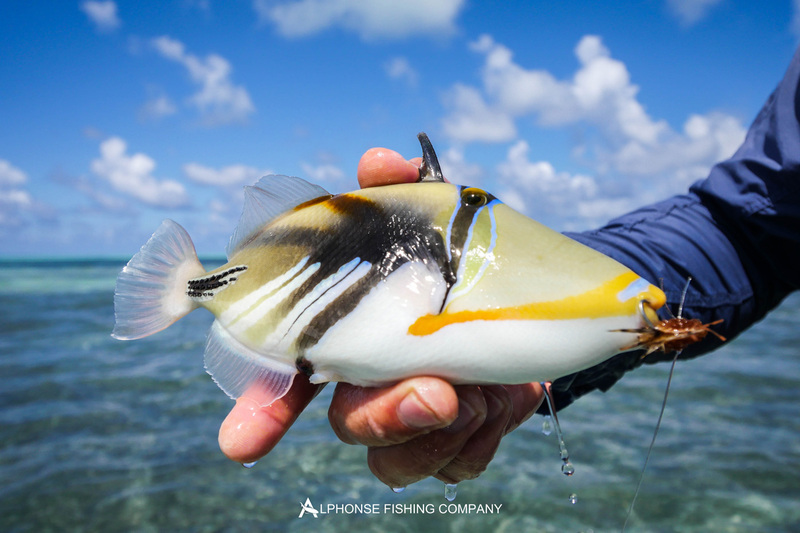 To put this into perspective the total number of triggerfish caught in a full 8-month season would typically be 45-50. 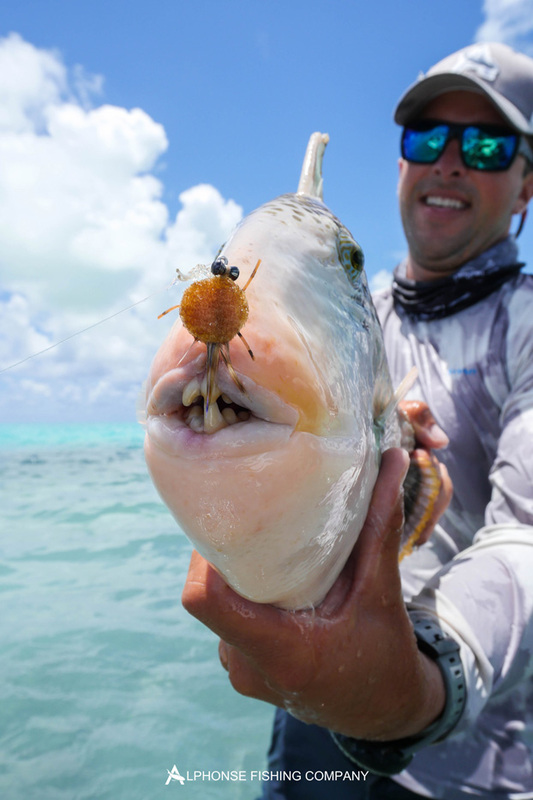 The guide team has been working hard on tying different flies and improving the approach to catching triggerfish and it is paying off handsomely. With so many fish landed this week this report doesn’t have the scope to describe all of them. John Adams and Nikita topped the list by landing 5 triggerfish each. Sergey, Dmitry, Rod, Max, Richard and Patricia Sankey, Donald Stewart and Brian McLean, all did their part and contributed to the best triggerfish week of St Francois’ history. Besides the triggerfish being absolutely phenomenal most of the guests joined the 20 plus bonefish club on more than one occasion. 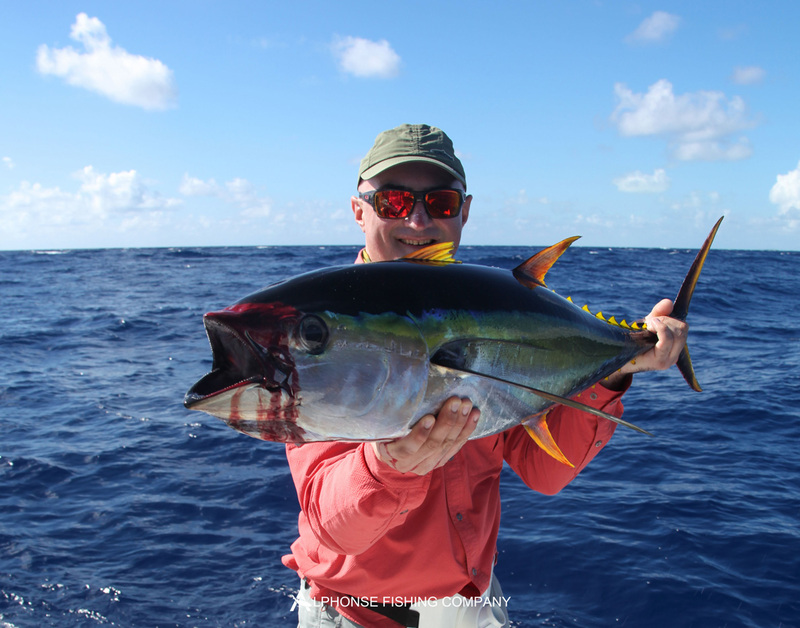 John Adams added one more beautiful Indo-Pacific permit to this season’s already incredible total. 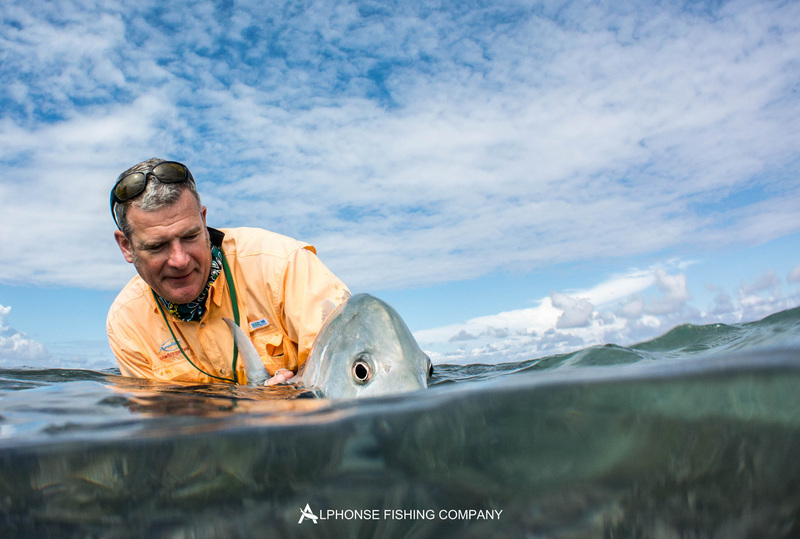 Geoff Green managed a gorgeous 12lb Milkfish on the flats on an 8 weight, which was a very interesting affair. 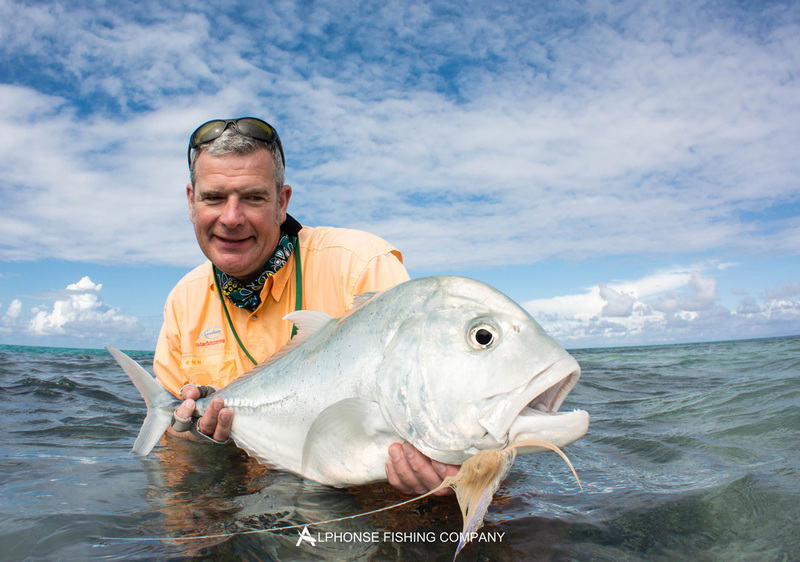 The GT’s also made their presence known with lots of shots this week, however Donald Stewart was our GT champion, making contact with a gorgeous 71cm fish. This fish was hooked out of a huge group that were tailing on the flats. 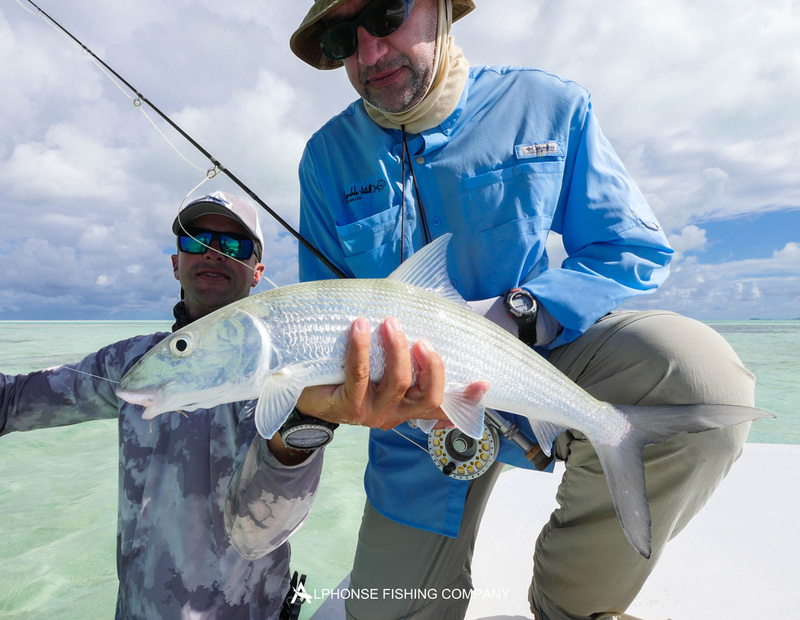 This week was another turn-up for the books in what has already been an extraordinary season and serves to highlight the enduring magic of St. Francois atoll. 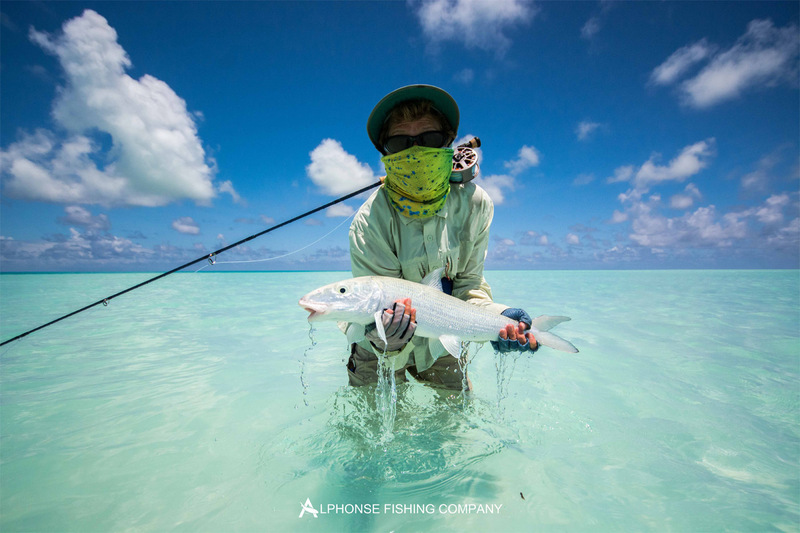 The seasoned saltwater flats guides of Alphonse Fishing co. have been truly amazed by the fishing over the last few weeks. Every time the records get broken the bar is raised that little bit higher, and the team have to strive to improve, innovate and evolve to continue to get the best from the fishery. The experiences shared with the guests this past week will live long in the memory of everybody involved.